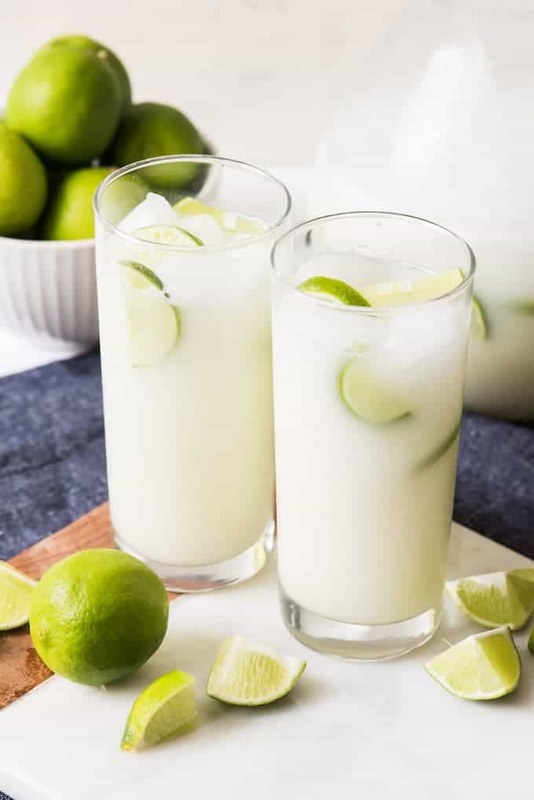 Brazilian Lemonade, Brazilian Limeade – whatever you want to call it, this is one delicious and refreshing drink that we enjoy year round! 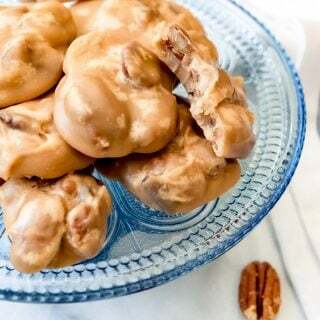 This is one of our favorite treats that seems to go perfectly with everything. 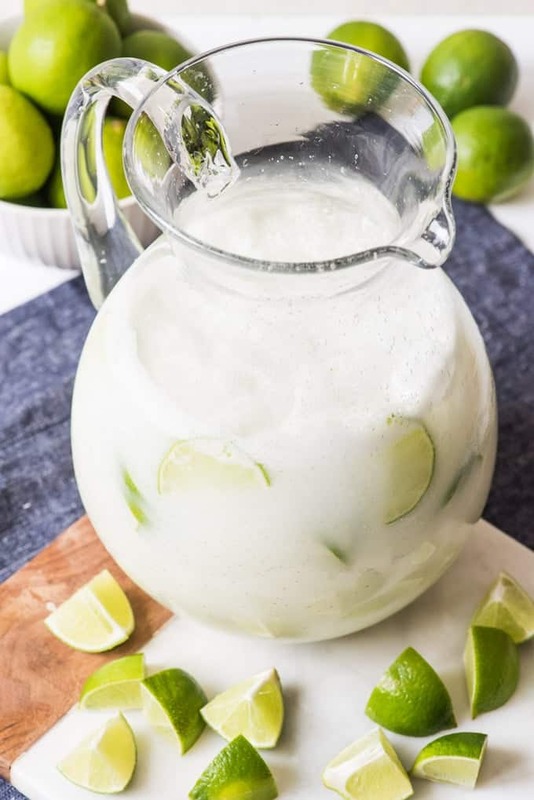 Of course it’s a fantastic drink to enjoy during the summer when the days are long and hot, but it’s also great in the winter when limes are in season and at their juicy best! 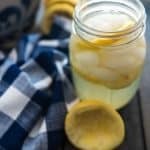 I first tried this Brazilian lemonade recipe after seeing it on Our Best Bites, who posted about it way back in 2010, and we’ve been making it ever since. It’s sweet-tart, tangy, and ever so slightly creamy thanks to the addition of some sweetened condensed milk. If you have ever eaten at one of many popular Brazilian steakhouses like Tucanos or Fogo de chao, you may have had a chance to try this wonderfully sweet-tart Brazilian Lemonade. 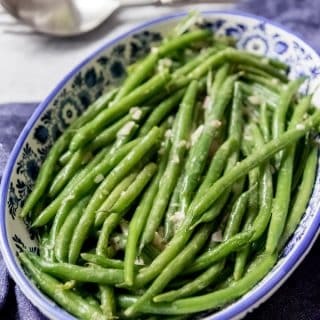 Serve it with almost anything, but if you are doing a Brazilian-themed meal, it’s especially delicious with Brazilian black beans and Brazilian white rice. Why is it called Brazilian Lemonade and not Brazilian Limeade? It seems like a strange misnomer to call this beverage “lemonade” when there are no actual lemons in it. But the reason is actually because the word for both lemons and limes in Portuguese is limão. I’ve also read that this is sometimes actually called Swiss Lemonade in Brazil, although I don’t know why or whether that’s actually true. It may also just be a regional name from Brazilian limeade or lemonade, given that Brazil is such a large country! You are going to want a good blender to make Brazilian lemonade. A Vitamix or a Blendtec are probably the two best known brands, and I love my Vitamix and use it on an almost daily basis. 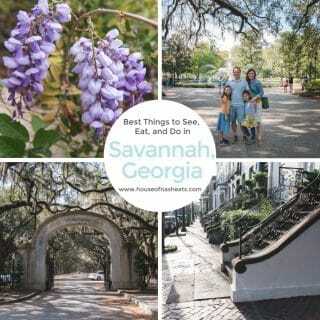 But if you don’t have one, I’m including a couple of work arounds in the recipe notes. But it’s so much easier to just use a blender for this recipe. First you want to make sure you have nice, juicy limes. Ones with thin, smooth skins are the best since they have less white pith between the outer skin and the flesh of the lime and that’s where any bitterness comes from. 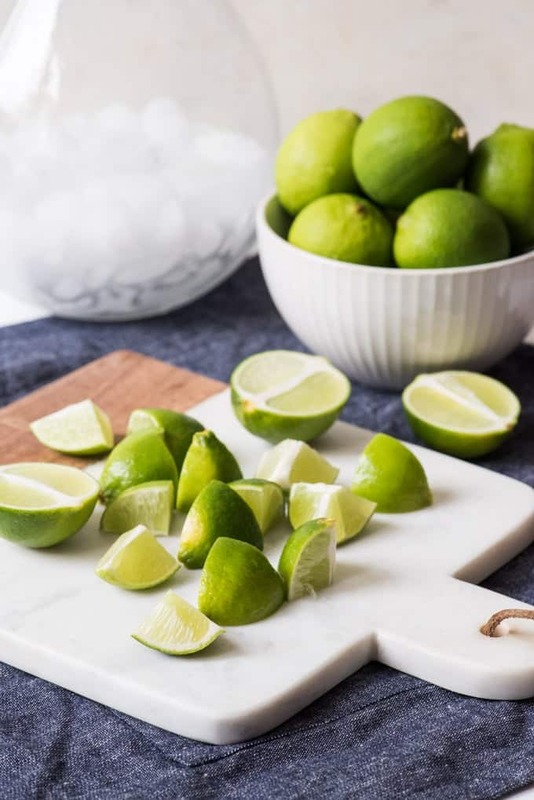 Give the limes a good scrub with a little bit of hand or dish soap to get rid of wax and any pesticides, then slice of the ends of each lime and cut them into 1/8ths. 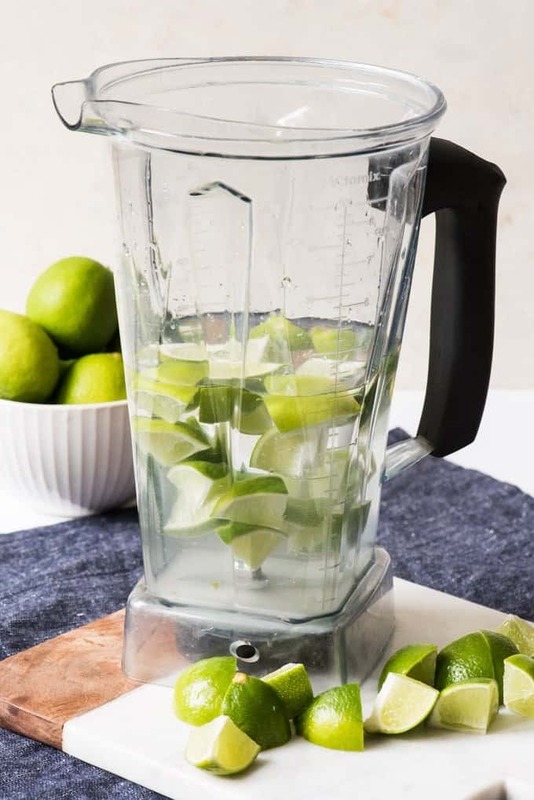 Drop half of the limes into your blender, along with half of the water and sugar called for in the recipe and pulse it about 5 to 7 times. You don’t actually want to pulverize the limes or your Brazilian lemonade might turn out bitter. 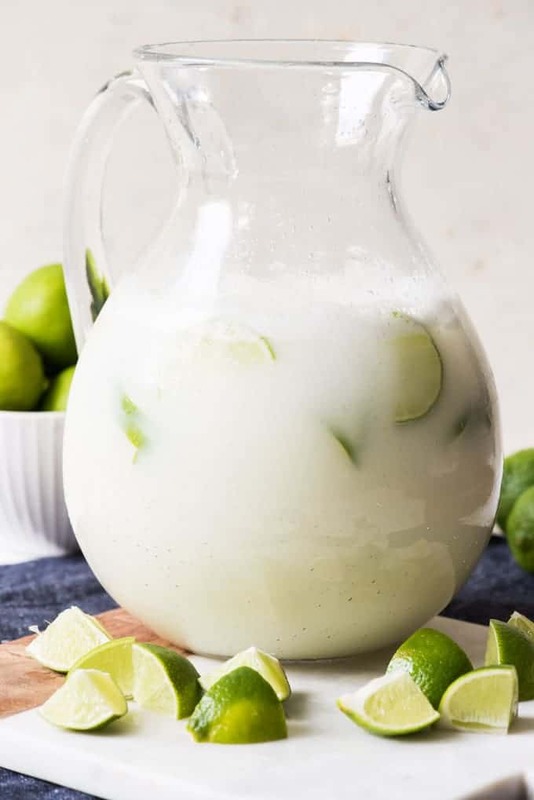 Pour everything through a fine-mesh strainer into a large pitcher, using the back of a spoon to press the limes to release any extra juice, then toss the pulp and skins away and repeat the process with the remaining half of the limes, water and sugar. 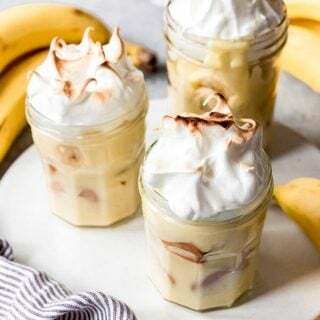 After that, you just stir in some sweetened condensed milk (it makes a huge difference so I definitely wouldn’t skip this!) and a bunch of ice and serve! It doesn’t keep very well, which is the one downside to this drink, but it seriously takes 5 minutes or less to make and we never have leftovers, so that’s not usually an issue. I have actually even frozen this in popsicle molds and we’ve enjoyed it that way too, which is a yummy summer treat! Brazilian Lemonade, Brazilian Limeade - whatever you want to call it, this is one delicious and refreshing drink that we enjoy year round! Wash limes thoroughly by, scrubbing the skin with hand or dish soap to remove any pesticides or wax. Slice off the ends of each lime, then cut them into 1/8ths. In a blender, combine half of the water, half of the sugar, and half of the limes, then pulse 5-7 times. Pour through a fine-mesh strainer into a pitcher, pressing the lime pulp with a spoon to help release juices, then discarding the remaining skins and pulp. Repeat with the other half of the water, sugar, and limes. Stir the sweetened condensed milk into the limeade and serve with lots of ice and thin slices of lime for garnish. 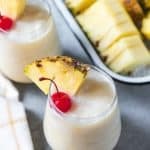 If the drink tastes bitter at all, you can add a little extra sweetened condensed milk or sugar as needed. Limes with smooth, thin skin are the juiciest and have less chance of making the drink bitter. 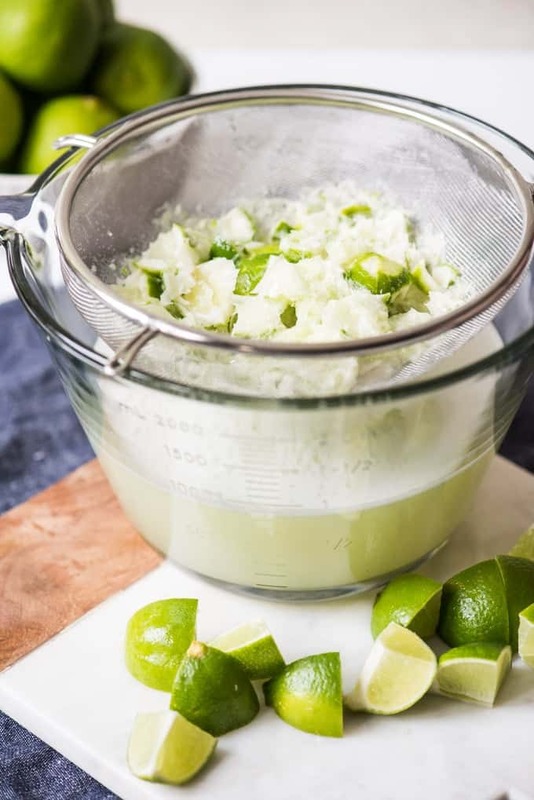 If you don't have a blender, you could just use 1 cup of freshly squeezed lime juice instead and stir it into the water and sugar, along with the sweetened condensed milk. I find that the skin adds a lot of flavor itself because of the zest that comes off it in the blending process, but this is still a good approach if you don't have a blender. This drink looks so refreshing! I’m so making it for the kids (and me) this summer. I’m imagining sipping on it while wearing a large hat with my feet in the kiddie pool as the kids chase each other around in the grass with squirt guns! Beautiful photos by the way! I am intrigued by this recipe. The combination of ingredients almost reminds me of a creamsicle (orange and vanilla). Creamsicles are my favorite icecream. 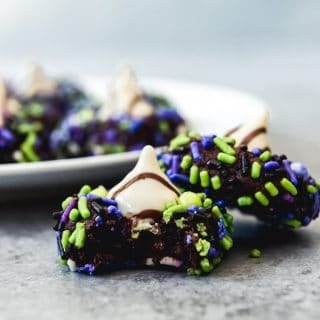 I’m trying to imagine the taste, and I can’t imagine it, so I will be picking up limes on my weekly trip to the store and making a batch of this. 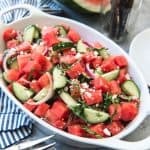 Should I use regular limes or key limes? Does it matter which kind I use. This looks delicious! I can’t wait to try this on a warm day! Oh my goodness. This sounds just delightful! I love sweetened condensed milk and could drink (eat) it straight out of the can, but I love limes too, so the combination sounds wonderful to me. I never thought of adding sweetened condensed milk to lemonade! 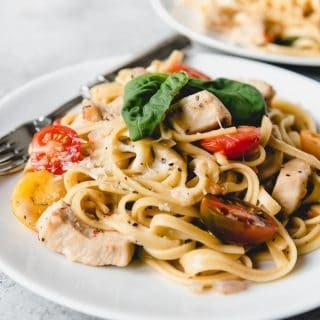 It sounds like a brilliant idea which makes it richer in texture and creamy. I have to try it soon! Oh that looks super refreshing. I can just imagine this going down very well at a summer bbq party. 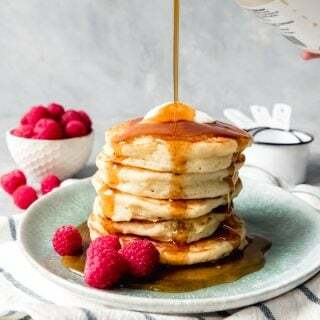 Oooh this looks absolutely delicious, love your photos too! Ive never met anything with sweetened condensed milk that I haven’t just loved! How have I never heard of this before? being a sweet/tart kind of lover.. this is right up my alley! 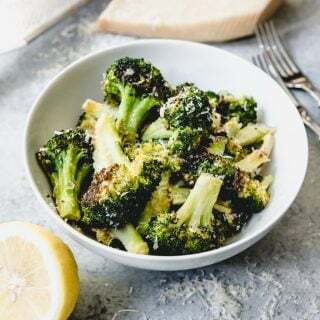 Im going to see if I can get some great limes at the market tomorrow to have this on Sunday for brunch! The drink sounds fascinating and it has my mouth watering! Very refreshing! Have you ever put any alcohol in it? I wonder if you could and have it as an adult beverage. I just may experiment. I haven’t, but only because we don’t drink alcohol. I’ve seen other recipes that do include it though! I haven’t had Brazilian food in years, and this post has me missing it! We had a Brazilian exchange student in 2005/2006. We did a full on Brazilian feast for his farewell party (including fejoada). A pitcher of this would have been a perfect non-alcoholic beverage (in addition to the caipirinhas! )… I love the addition of the sweetened condensed milk! I’ve considered hosting a foreign exchange student! It sounds like a wonderful experience! 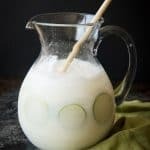 Oh my goodness, I love regular limeade enough, add sweetened condensed milk and I’m not sure I’d ever stop drinking it! Pinning this to make soon, for sure! I am dying to try out Fogo de Choa. I am totally ordering this when I, eventually, make my way there! A perfect summer drink indeed! What a cool and interesting drink. I am going to have to give this one a try. I’m Mexican. If you took out the condensed milk, this would be Lime Agua Fresca. I’m SOOOO going to try adding the condensed milk next time. Thanks for sharing! Never heard of any kind of dairy in lemon/limeade – but it sounds so creamy and wonderful! Like drinking a popsicle! What a fascinating drink. this sounds so interesting. And also like it would be absolutely delicious! I am totally going to try it! Condensed milk is something that widely used in Latin America, and Russia, where i am from. We use it everywhere, from tea and coffee to baking! I didn’t realize it was used so much in Russia! So interesting! Soooooo good! My husband asked for thirds, and the little ones kept reaching for more. I’m so glad your family loved this, Carla! We drink so much of it during the summertime! Why couldn’t you use lemons instead of limes? Lemons just have a different flavor from limes. I suppose you could try it, but it just wouldn’t be the same drink. Could a simple syrup be made with the sugar and a cup of the water, then chilled before proceeding with the recipe? A comment from another site felt the drink was gritty because the sugar had not dissolved completely. Once the drink is prepared how long will it keep before becoming bitter? I’d like to make it about 45 minutes before serving it to guests. Yes, I’m sure a simple syrup could be used, although I have never noticed any grittiness in this drink. It really takes at least a few hours to become bitter, so you will be fine with making it an hour in advance. And even the next day when it does start to turn a little bitter, it’s still not terrible, just not as good as when it is first made. This would have to make an excellent cocktail, too! I can’t help but imagine what alcohol would pair great with this…Malibu coconut rum, spiced rum, or maybe a little vodka or tequila…? Any thoughts or suggestions? I don’t drink, so I really don’t know! But if you try one, leave another comment and let me know because I’m sure it would help other readers!